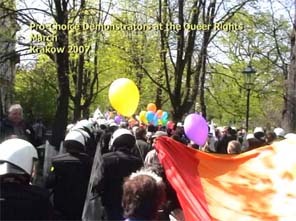 The two-part Interview also features clippings from the documentary. 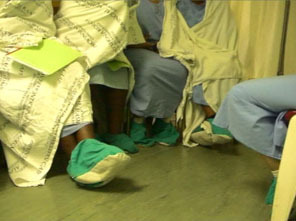 Top: patients waiting for their abortion procedure at the public health care center in Atlantis. 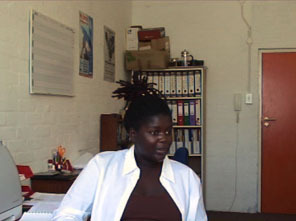 Middle: Sister Ida Frawces at Public Health Care Center, Atlantis - Awino Okeck of the Mother Tongue Theater, Cape Town - Richard Burzelmann, a Coordinator of Abortion Services in the Western Cape Province. 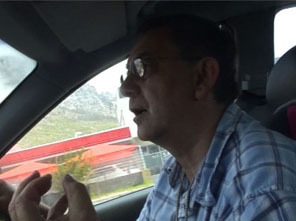 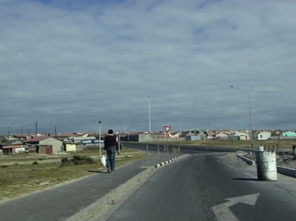 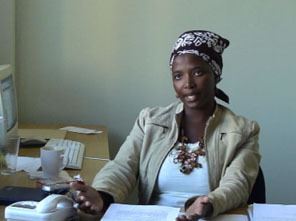 Top: Noluthando Ntlokwana from the Woman Legal Center in Cape Town - interview with a patient in Atlantis - meeting Liz in a public park in Cape Town. 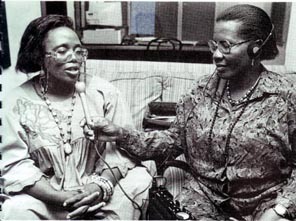 Left: Women's Health Conference, Johannesburg, 1994. 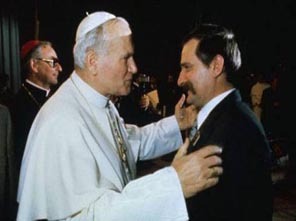 Top: police escorting queer rights march, Krakow 2007 - Lech Walesa with pope Johannes Paul II - Wanda Nowicka of the Federation for Women and Family Planning in Warsaw. 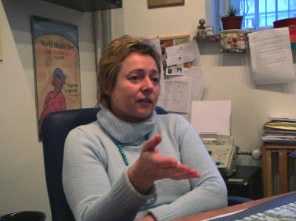 Left: preparing pro choice demonstration in Warsaw - news article about Alicja Tysiac. 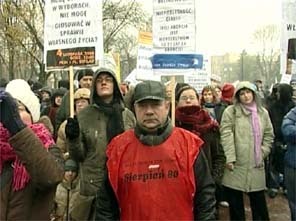 Bottom: two interviewees in Poland - pro choice poster in Poland - polish miners secure pro choice demonstration.